Earlier this week, I published a piece in Model D about LGBT spaces in Detroit that featured some powerful thoughts by queer Detroiter, activist, and fitness instructor Robbie Dwight. I met Robbie a little over a year ago, when he was the guest instructor at a gay fitness class I was regularly attending. The class was organized by Kimo Frederiksen at his Corktown gym True Body Fitness. Billed as "Gay Boy BootyCamp," it was a once-a-week, summer-long fundraiser for Affirmations and the Ruth Ellis Center, two important local LGBT community organizations, and it turned out to be super meaningful to me. So it was really great, and I looked forward to it every week. I was bummed when it wrapped up for the season, until I remembered that the week Robbie guest-taught the class, he'd mentioned that he also taught a weekly class over at Detroit Tough, another small gym nearby. So I started going to his kettlebell class there every Sunday morning. 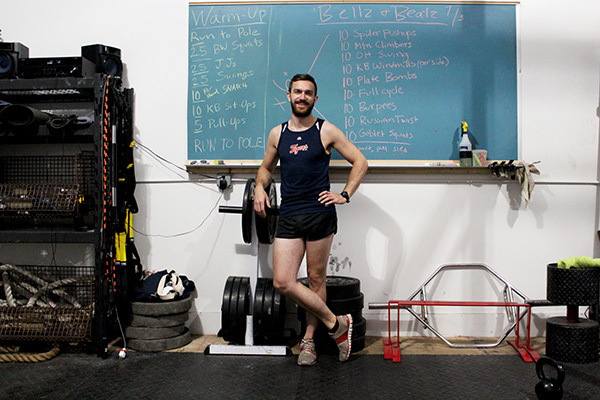 Several months in, Detroit Tough's ownership changed, resulting in a shakeup that prompted Robbie to move over to Proving Grounds, where I followed him, and where I continue to catch the Sunday morning kettlebell sweatfest whenever I can. I really like working out with Robbie. His energy is huge, and he's bright, motivating, and knows what he's doing. He's also hilarious. But more than that, he's incredibly welcoming. 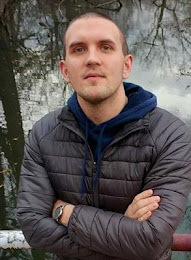 While his classes aren't billed as fitness for gay or queer people (and in fact, they don't seem to be attended by a majority queer group), by sheer force of his personality and his everyday activism, he takes what is traditionally a pretty oppressively hetero, "masc" environment -- the gym -- and queers it, making it welcoming to all. 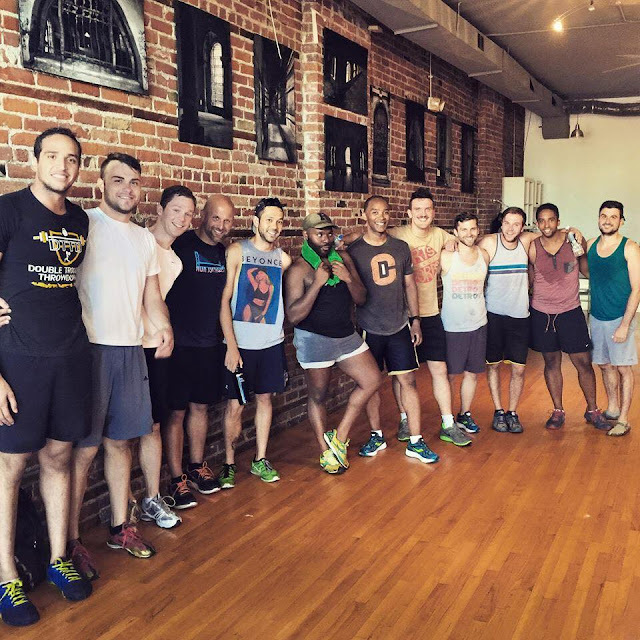 As a high-energy, unapologetically loud and proud queer dude, he makes it clear that his classes -- and by extension, fitness in general -- are for everyone, without actually having to say a word to that effect. It's just...apparent. That's a pretty special thing in gym culture and in Detroit, where homophobia is still alive and well. In fact, I was recently struck by how far we still have to go when I attended another fitness class a couple of weeks ago elsewhere in town, led by another very energetic and motivating trainer, who totally lost me at the end of class by saying, as people were getting together for a group photo, that he "doesn't touch dudes" and that he wanted us to line up "guy-girl, guy-girl." It was disheartening how casually he threw his homophobia and retrograde heteronormativity on the table -- assuming we were all in the same club, so to speak -- and how immediately his words made me feel uncomfortable and unwelcome. Anyway, when I first started thinking about my article on queer spaces in Detroit, I figured Robbie would have a perspective (and boy, did he!). 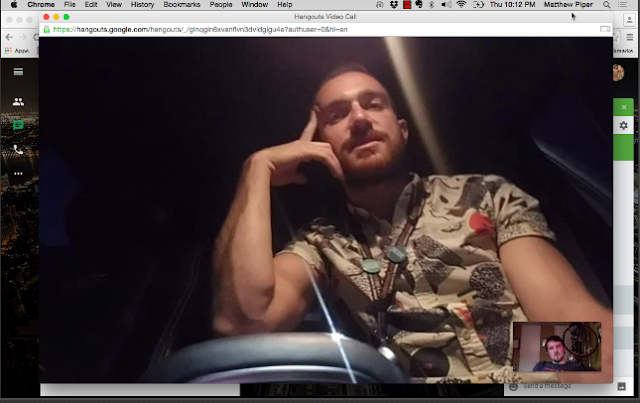 We had a hard time finding a good time to chat in person, so we ended up talking over Google hangouts one night, while he was driving home from his day job (and then while he was sitting in his driveway).